Adjustable Billet Alcohol Metering Block - Our billet aluminum metering blocks are machined to very strict tolerances then anodized for protection and good looks. 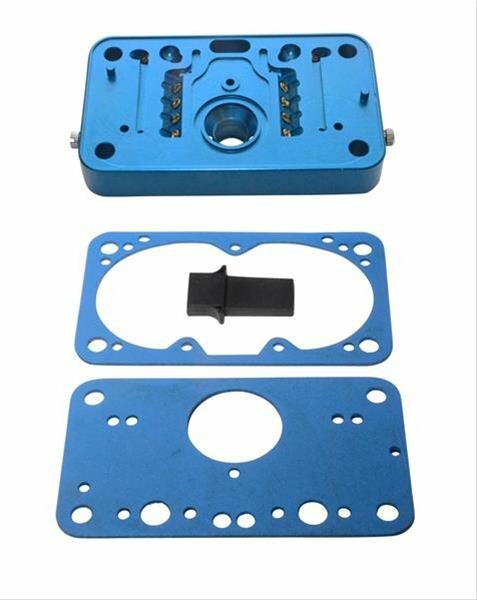 CNC cut from premium aluminum and filled with precision parts, these blocks provide the ultimate platform for your performance carburetor. Fully adjustable calibration for out of box performance - designed to fit most drag race and circle track race alcohol applications. Simply add your jets and power valve to complete the installation.